Shot on location in Port Isaac, England, this behind-the-scenes documentary looks at the international hit series Doc Martin. It features revealing interviews with cast members, a look at the town known as Portwenn, and a unique guided tour of the sets from producer Phillippa Braithwaite. The special, filmed during the sixth season, also contrasts rehearsals with final content to provide viewers a fascinating look at how the finished product is made. Celebrate legends of the 60s and 70s brought together in a once-in-a-lifetime concert: Aretha Franklin, James Brown, Ben E. King and the Drifters, Dionne Warwick, the Isley Brothers, Percy Sledge, Little Anthony & the Imperials and more greats. America’s favorite tenors are back with RISE, an all-new concert filmed in stunning 4K resolution at the beautiful Grand 1894 Opera House in Galveston, TX. 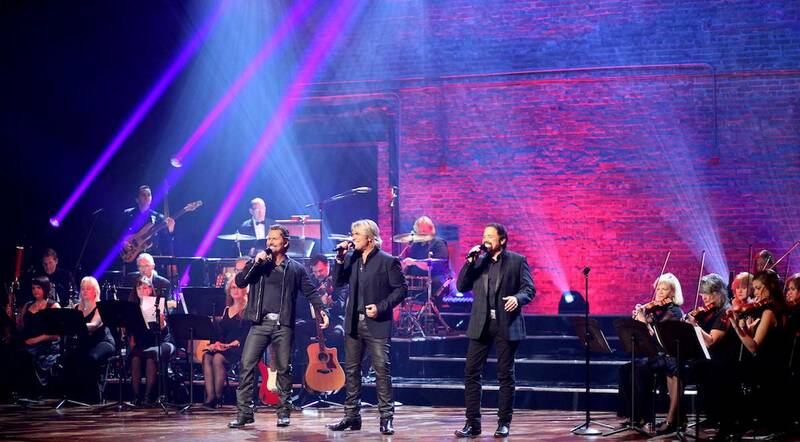 In their second special for PBS, The Texas Tenors follow up their Emmy Award-winning PBS special “You Should Dream” with a live orchestra and choir performing classical, pop, country, and Broadway - including a show-stopping tribute to one of the most beloved and cherished musicals of all time - Les Misérables. $75 One Ticket to the Texas Tenors with the Meridian Symphony Orchestra on Feb. 17, 2018, at the Riley Center in Meridian, Mississippi. Includes meet and greet cocktail party.